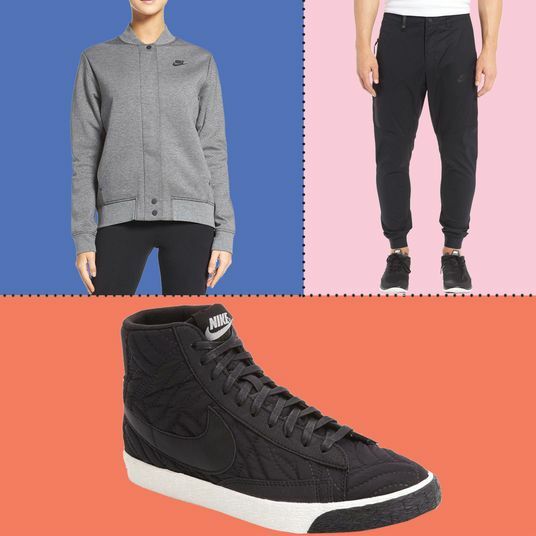 Dressing for outdoor workouts in the summer doesn’t take much thought. 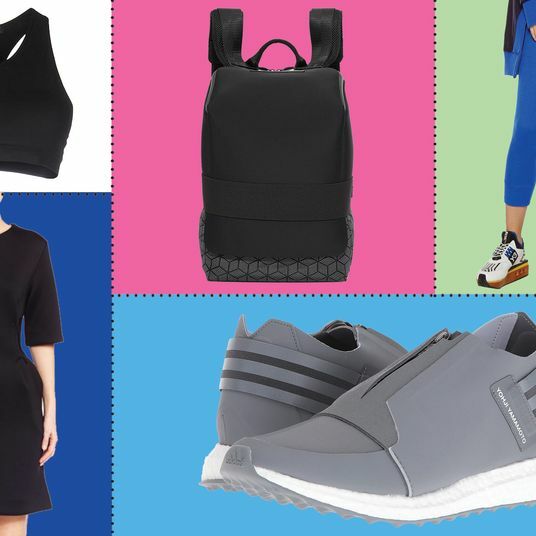 Throw on a pair of shorts, a shirt, and, for women, a sports bra, and you can be out the door in minutes. 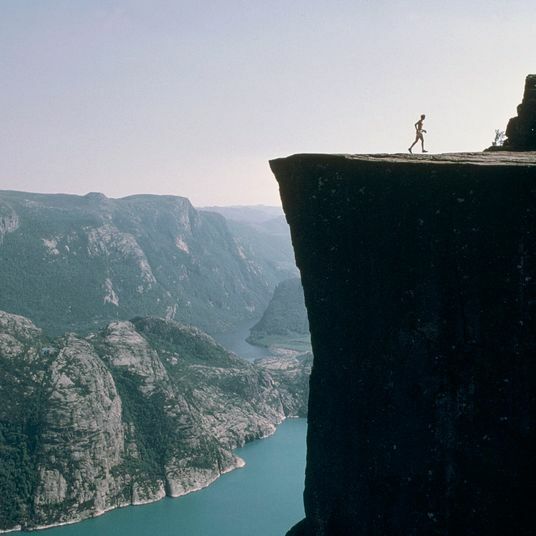 But cold weather exercise requires a lot more consideration. 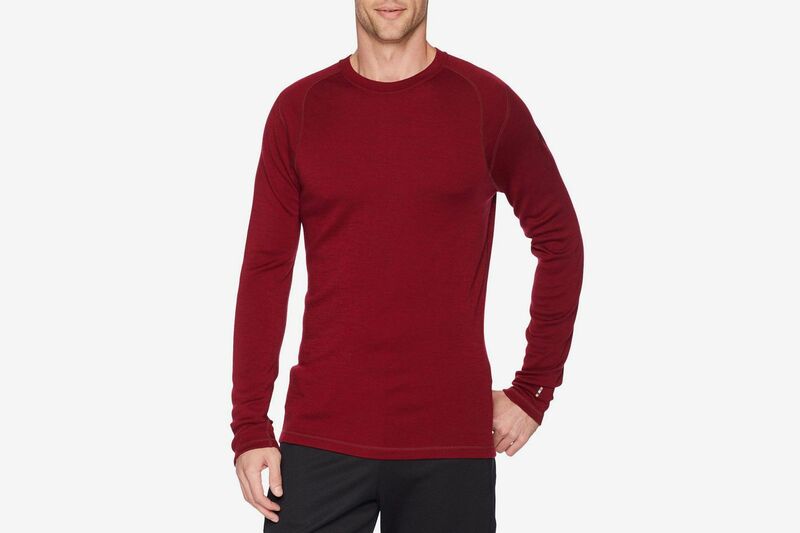 Your clothes have to both keep you warm and prevent overheating as you build up a sweat. 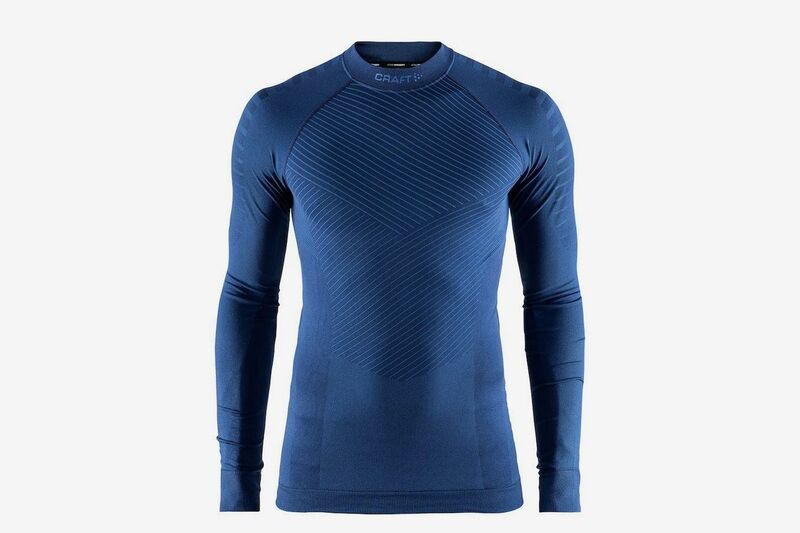 For athletes, base layers made of technical fabrics worn close to the skin are the first line of defense against the winter chill. 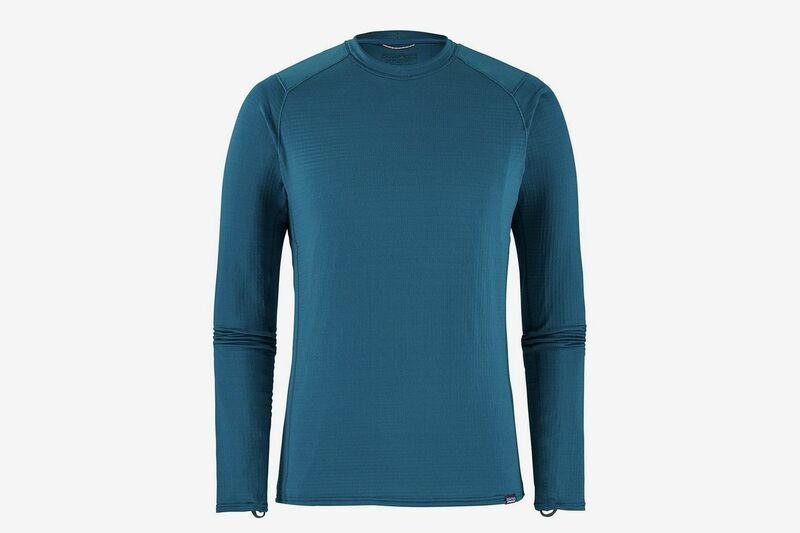 Along with year-round runners and cyclists, we asked skiers, snowboarders, and alpine hikers to recommend their favorite base layers. 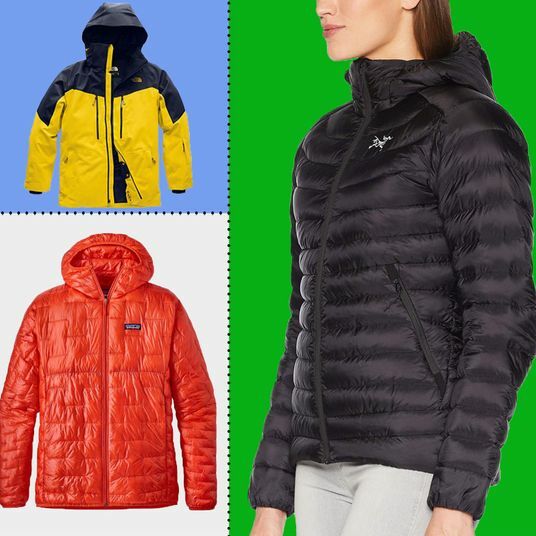 Their picks, with options for different activities, climates, and fabric preferences, will keep you warm — but not too warm — on the roads or slopes, no matter the weather. 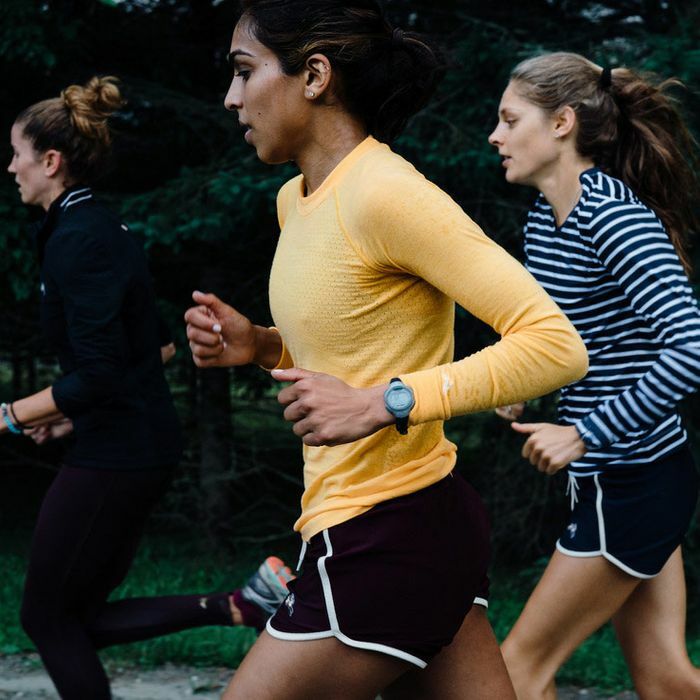 “I may run through shoes in a hurry, but I hold on to base layers like grim death,” says City Coach co-founder Jonathan Cane. 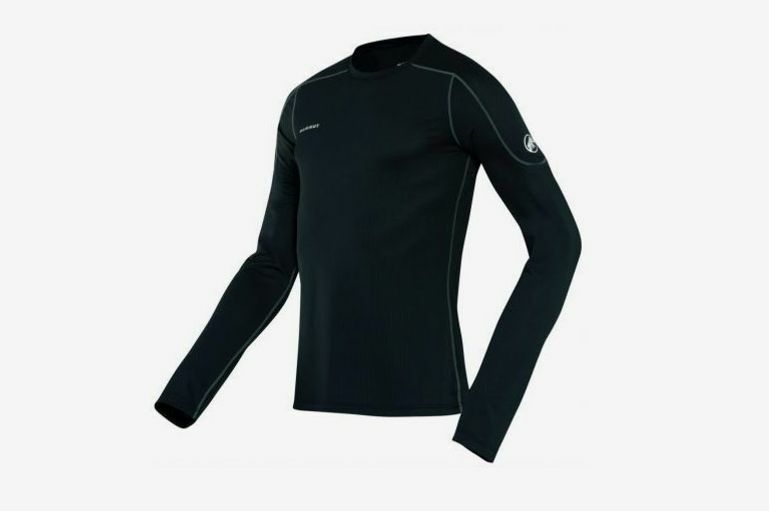 “The key elements are something that’s breathable, long-sleeved, and wicking. 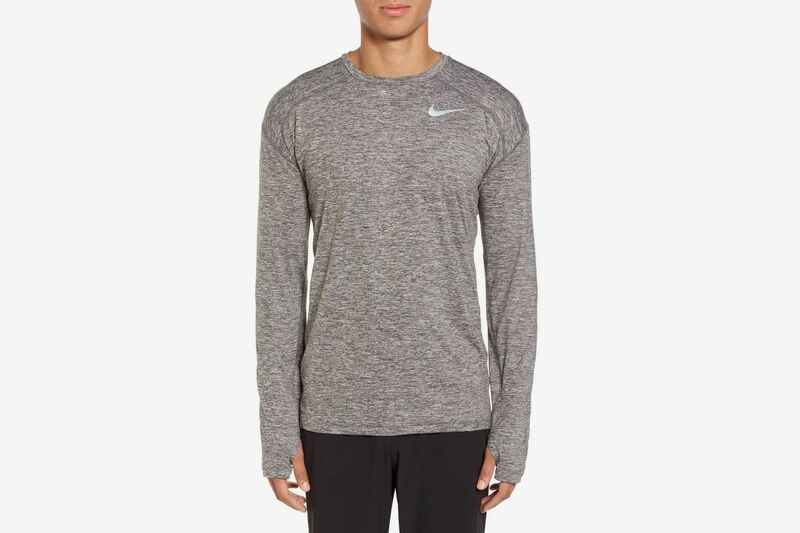 Cotton absorbs and holds moisture, whereas high-tech man-made fibers wick it away and keep you comfortable.” Nike makes some of his favorite base layers, which can be worn on their own on a mild day or under more layers on a colder run. 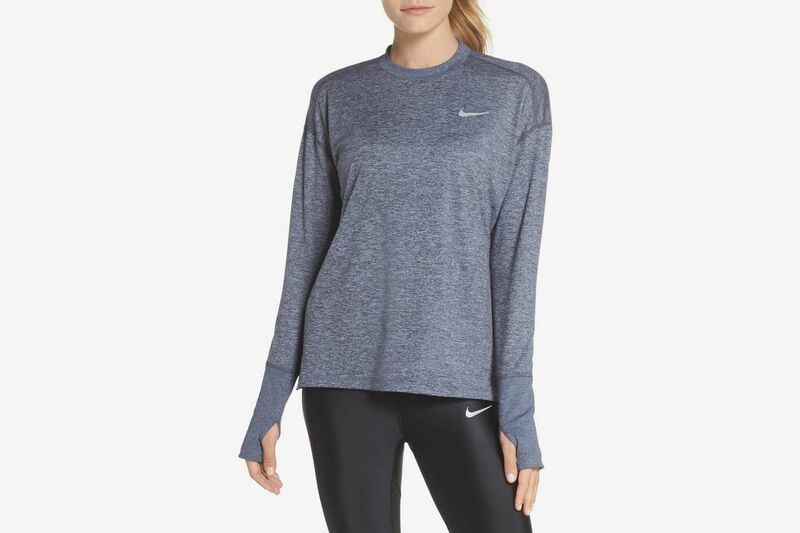 Designed to be worn close to the skin to maintain body heat — and to avoid bulkiness under additional pieces — the Nike Element long-sleeve top is made from flexible and breathable technical fabrics. 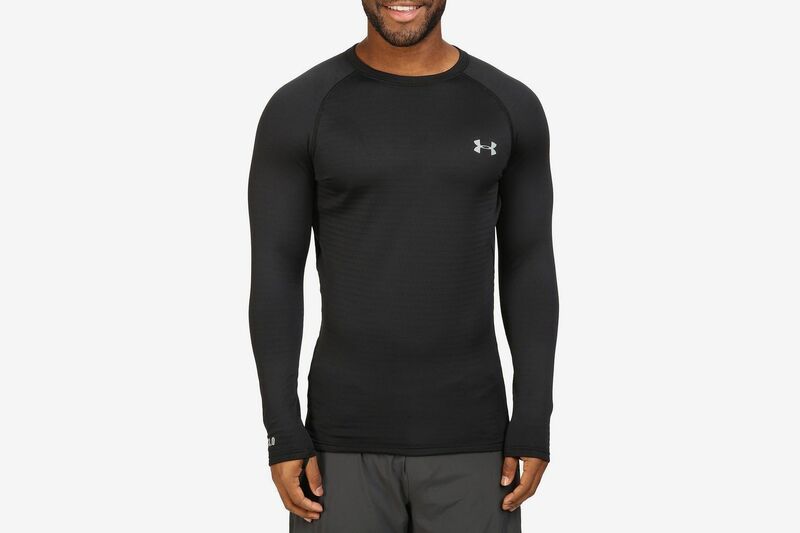 Cane also likes Under Armour base layers, which he says remain soft and comfortable after years of use. 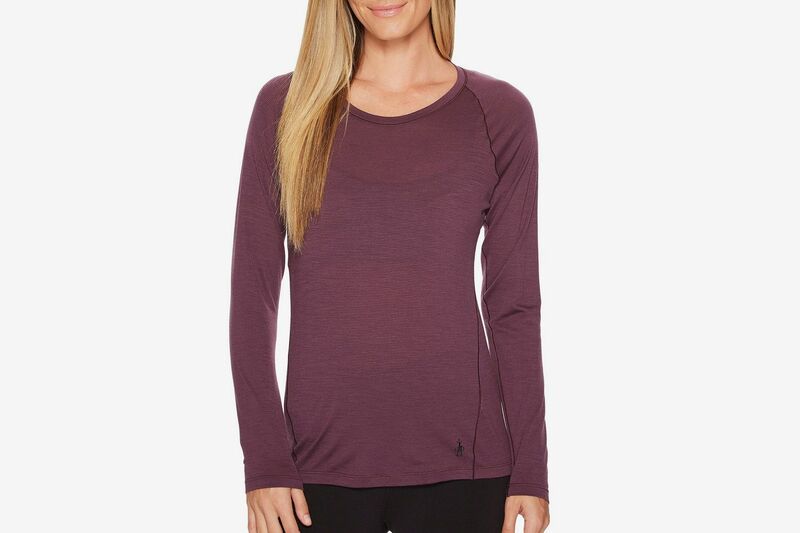 These fitted long-sleeve tops are made from a brushed material that feels cozy on the skin. 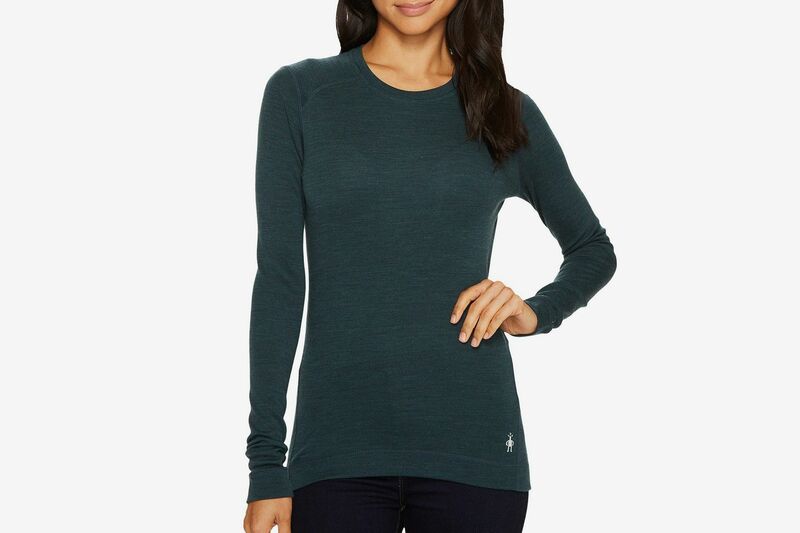 The thumbholes keep hands cozy and also prevent the sleeves from bunching up under a jacket. 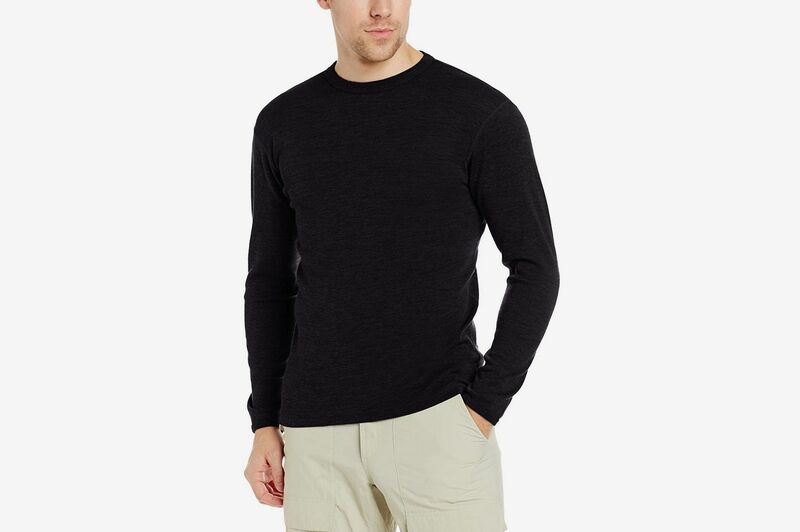 While synthetic materials abound in running clothes, Cane says “merino wool is also an increasingly popular base layer.” The all-natural fabric is surprisingly effective at keeping you warm, even when you sweat. 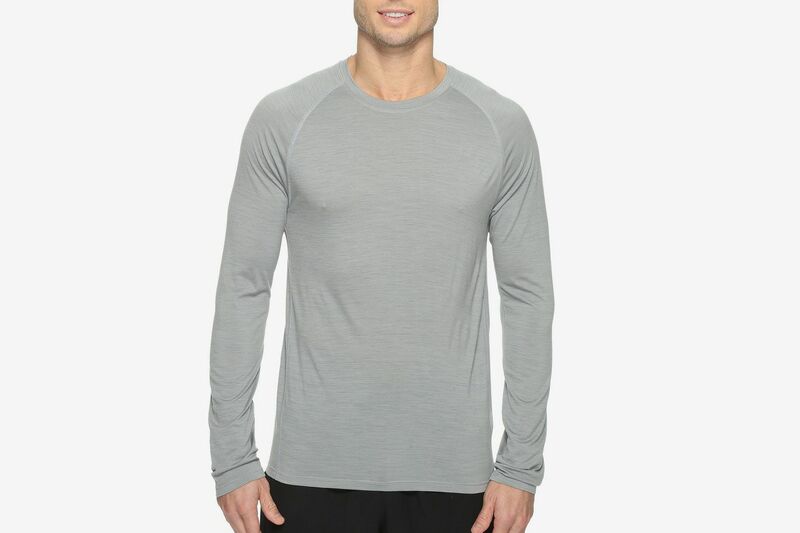 Tracksmith’s merino long-sleeve top features thicker knit wool on the arms than on the body, as your extremities generate less heat while running. 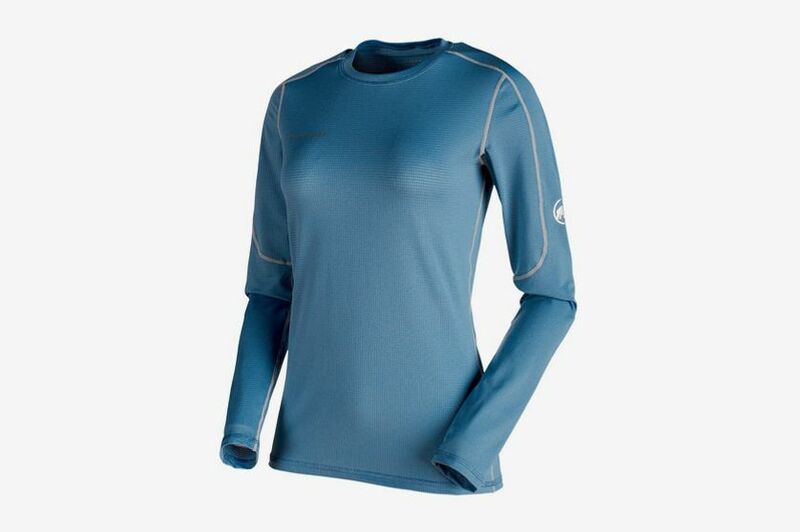 It’s also lightweight and soft to the touch. 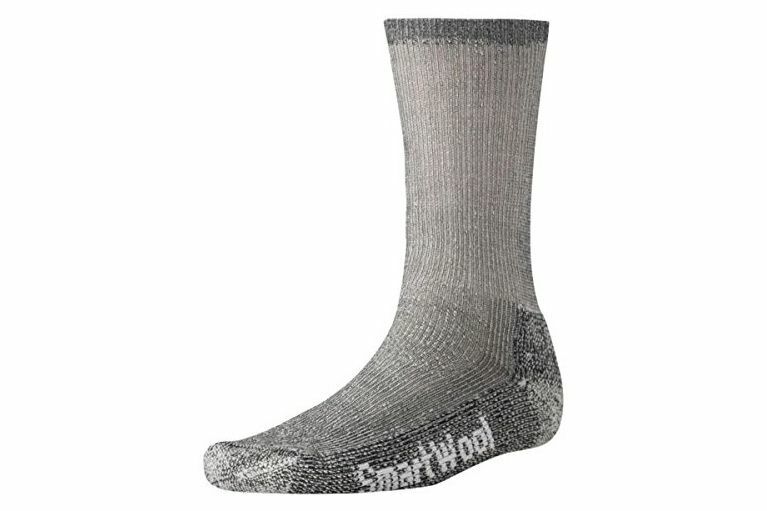 Instead of padded cycling tights, which he says never seem to fit right, Walton prefers wearing leg warmers on colder days, saying that you want the most protection over the areas on your body that break the wind. When cycling, that means the knees, not the working muscles of the upper leg that are covered by a regular short. 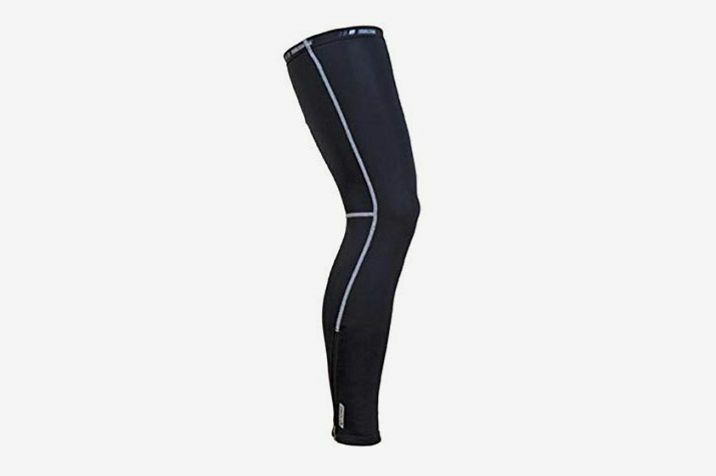 “Pearl Izumi is always good because they’re a staple in the cycling world,” he says, and these leg warmers let you wear your favorite cycling shorts while protecting the rest of your legs. 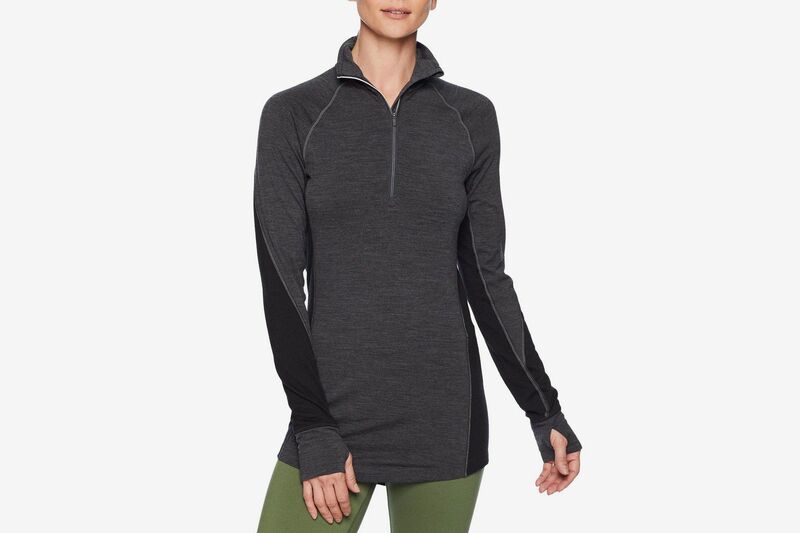 Blended with Lycra, this similar wool half-zip for women offers unlimited mobility without sacrificing warmth. Other serious skiers we spoke with agreed that merino wool is the way to go. “Material is the biggest thing I look at, and merino stuff doesn’t stink as bad [as synthetics] and it’s warm,” says Andy Docken, director of the Aspen Mountain Ski School in Aspen, Colorado. 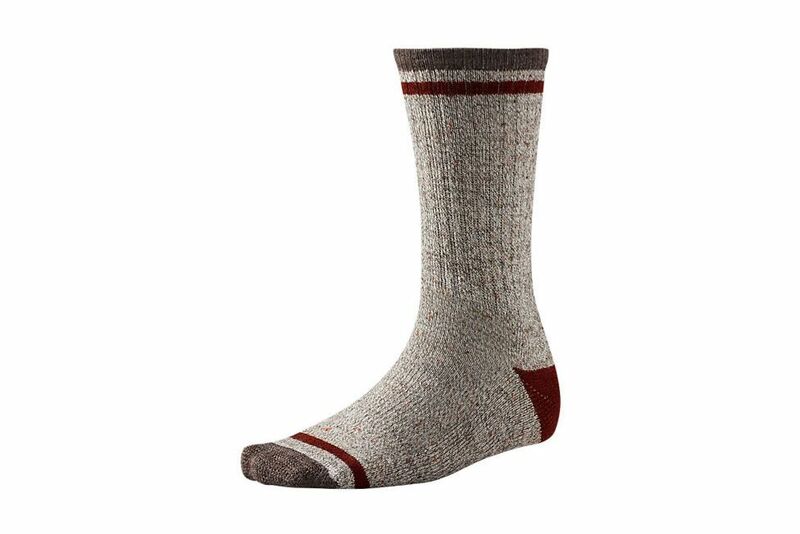 Docken skis over 100 days per year and he likes that his Smartwool shirts can stay odor-free for a few wears in between washes. 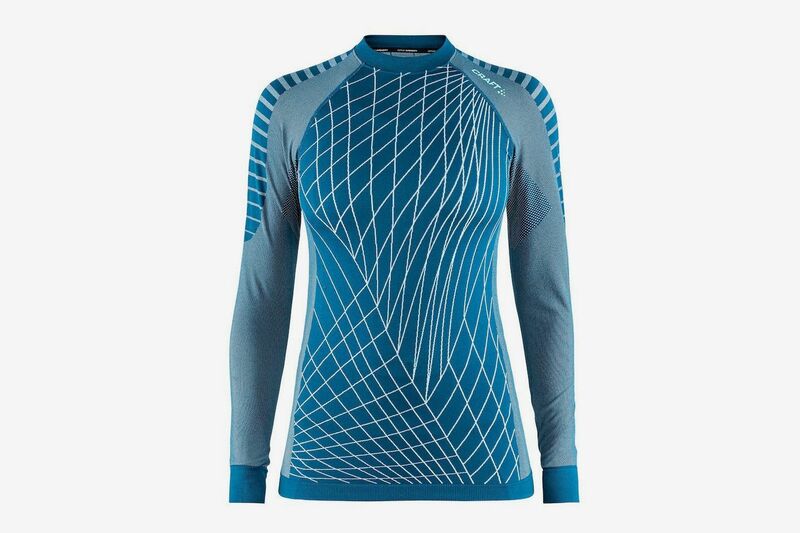 The right base layer can even help prevent some of the most common complaints among new skiers: painful shins and cold feet. 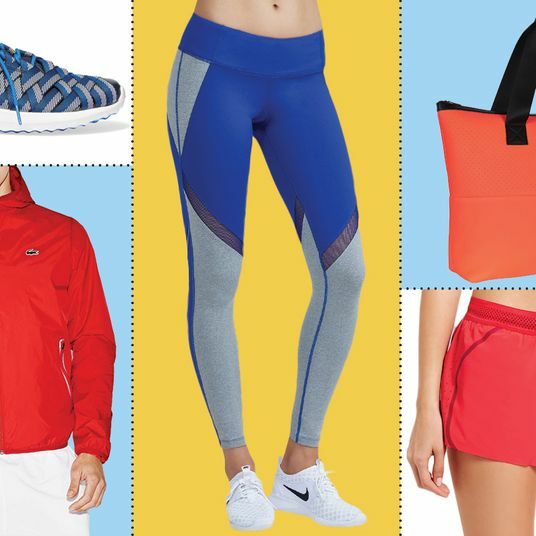 “I love three-quarter length base layer tights, so you’re not shoving anything in your boot,” says Docken. A wrinkle in a tight under a snug-fitted boot can cause pain and soreness, and over-layering under the boot can limit circulation to the foot, making toes feel ever colder. 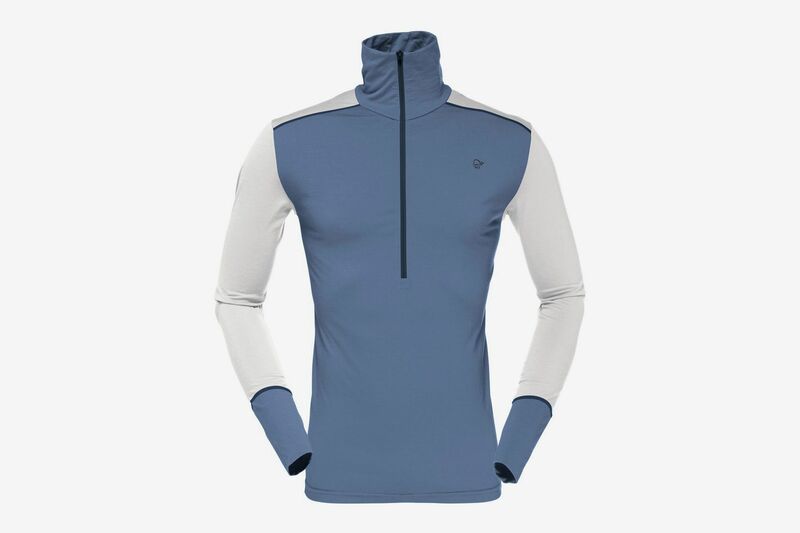 An alternative to wool, Patagonia’s lightweight thermal tops are a favorite of Daniel Kenney’s, the public relations and communications manager at upstate New York’s Hunter Mountain who has also been skiing and snowboarding on the mountain for two decades. 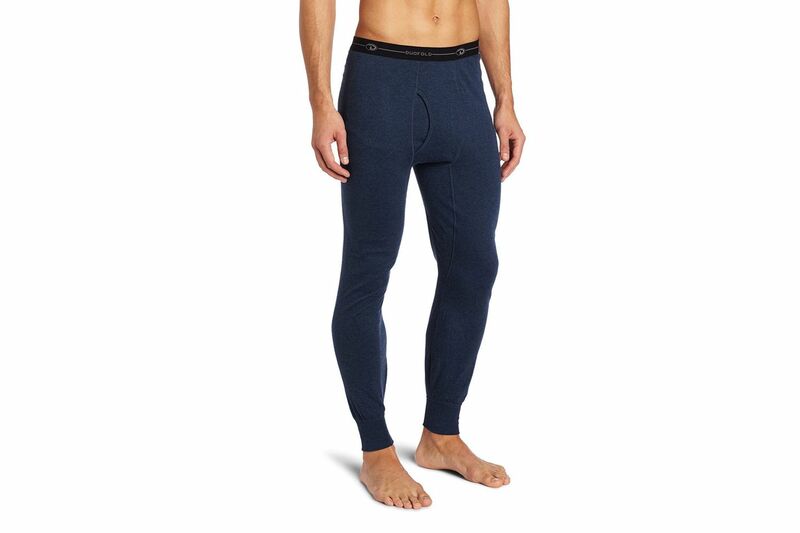 He says the tops “hit the sweet spot of weight, breathability, and wicking performance.” It’s also worth checking out the underwear from the same line — a good option if your skin is especially sensitive to wool. 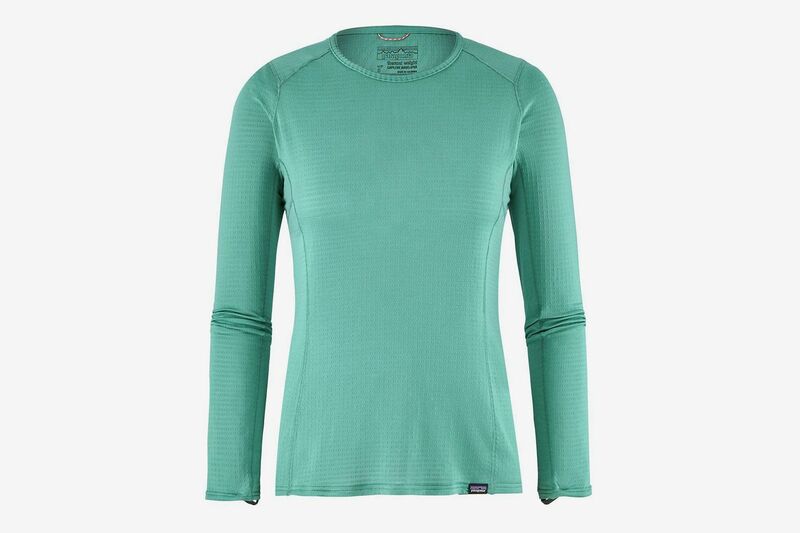 Merino wool pops up yet again as a favorite for hiking and climbing. 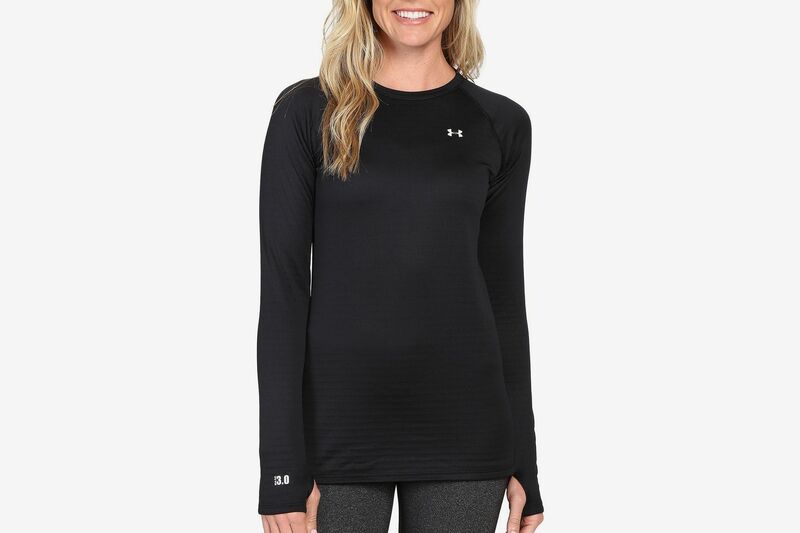 “It doesn’t smell as bad after a day out in the mountains — an especially welcome feature when you have to wear the same shirt for several days on a multi-day skiing [and] climbing trip,” says Smart. 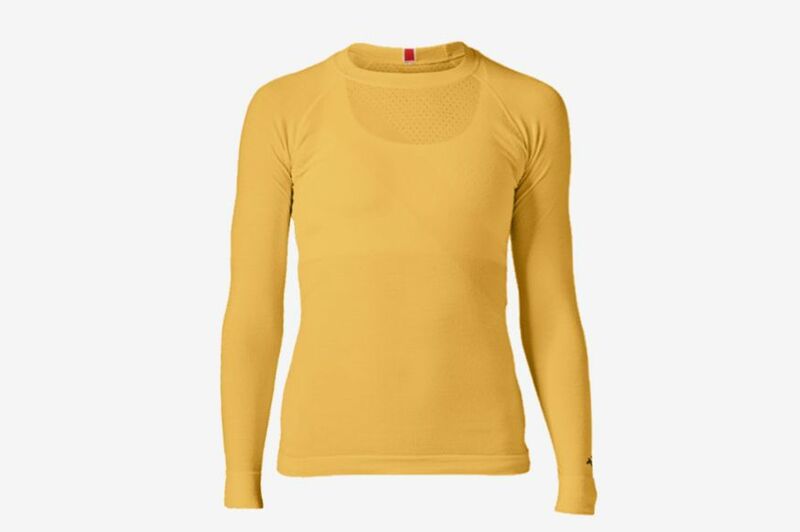 Instead of the heavier pieces preferred by skiers, she likes this lightweight Smartwool top (compared to the 250-weight wool pieces for skiing, 150-weight wool is thinner and not as warm) that works in a wider range of temperatures and for more intense activity.